“Why Meat is the Best Worst Thing in the World,” a Kurzgesagt video (Kurzgesagt is German for “in a nutshell”). “Ocean acidification explained in 2 minutes,” a Grist video animated by Amelia Bates and written by Amelia Urry. Like many Eastern suburbs, Virginia’s Fairfax County has way too many whitetail deer munching on backyard greenery and blundering in front of moving minivans. 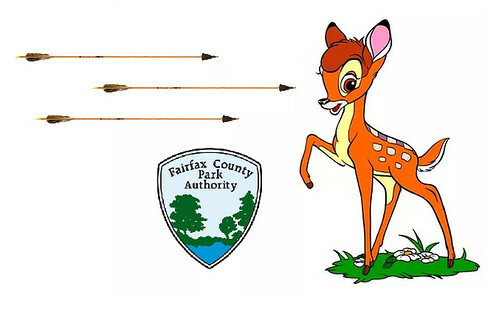 The county’s parks department has a chosen technology to control the antlered population boom: bows and arrows. Registered bow hunters climb into tree stand blinds and shoot down at the critters, so there’s little chance of stray shots perforating the neighbors. 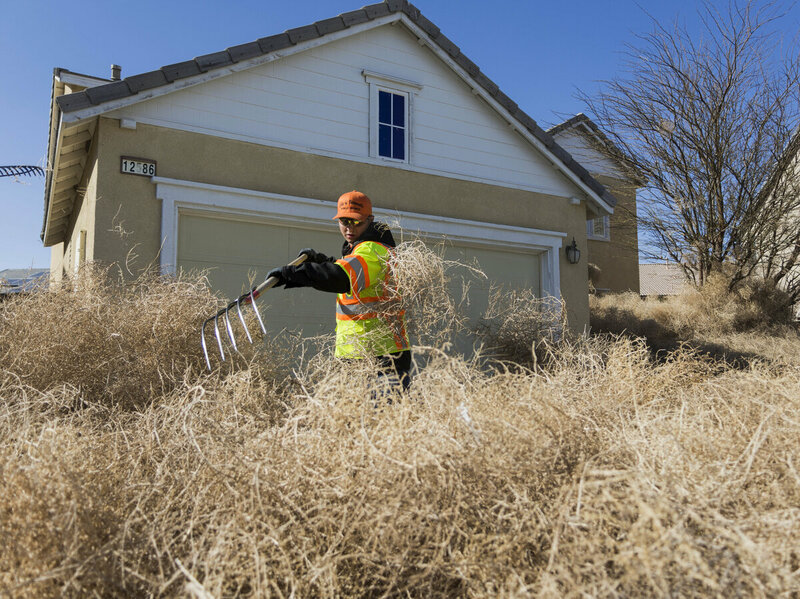 Tumbleweeds are tumbling all over Victorville, California, home of the old Roy Rogers Ranch. The town is buried in the things after wind gusts of 35 to 70 mph swept the thorny brush balls in from the high desert. The thorns will rip your hands if you don’t wear gloves, and the dry, accumulated brush is a fire hazard. Video: “Tumbling Tumbleweeds,” written by Bob Nolan, recorded by Roy Rogers and the Sons of the Pioneers, 1934. Let’s say you were an energy state Attorney General who sued the EPA 13 times to reduce clean air restrictions on oil, gas, and coal use. You’d expect energy companies to donate hundreds of thousands of dollars to your election campaigns, even in 2014, when you ran unopposed. What you might not expect is for Donald Trump to name you EPA secretary. But he did, Scott Pruitt. Now you’ve got to stay in DC, at least when you can’t jet somewhere else. Scott Pruitt doesn’t mind spending taxpayer dollars on first-class air travel, a custom soundproof phone booth for his office, dubious raises for his appointees, or a full-time security detail, but spending his own money when he’s in Washington? No way. 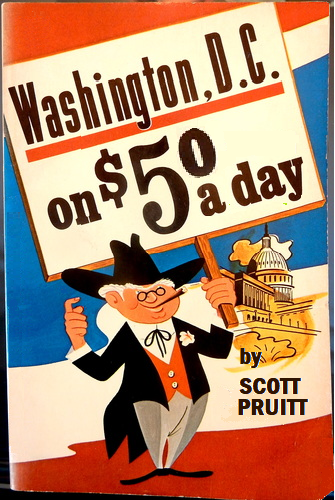 Mr. Pruitt is the poorest member of the Trump Cabinet, so of course he accepted a sweetheart deal on a Capitol Hill condo owned by the wife of an energy lobbyist, $50 a night, at least half the AirBnB rate for the neighborhood. Ethical lapses may mean Scott Pruitt is on the way out, but not before he’s destroyed his agency and America’s environmental safeguards. Baltimore’s Inner Harbor features 10 museums, 5 historic ships, a sports complex, concert halls, an aquarium, restaurants, bars, and shopping, but everyone wants to see Mr. Trash Wheel. The floating water wheel has collected millions of stares, hundreds of Twitter followers, and 1,490,960 pounds of trash since May 2014, including 703,799 chip bags and 9,857,900 cigarette butts. As the ocean absorbs carbon dioxide from the atmosphere, it’s becoming more acidic—eroding the shells of marine life vital to the food web. Jim Toomey illustrates the issues. Produced by the Pew Trusts. “Scientists at the cutting edge of ecological research … argue that the century-old American practice of suppressing wildfires has been nothing less than a calamity. They are calling for a new approach that basically involves letting backcountry fires burn across millions of acres. “Scientists are still trying to figure out how regularly forests burned in what is now the United States in the centuries before European settlement, but reams of evidence suggest the acreage that burned was more than is allowed to burn today — possibly 20 million or 30 million acres in a typical year. 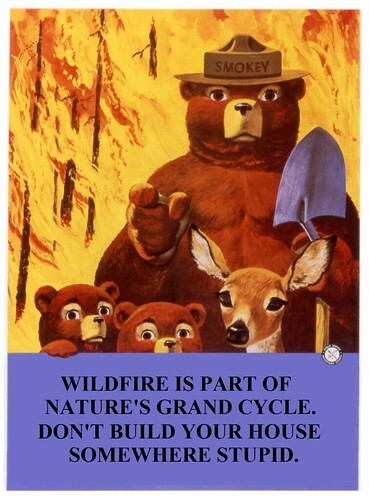 Today, closer to four million or five million acres burn every year.